You are here: Home » Popular » Is your muscle car cool enough? Is your muscle car cool enough? Ahh, to be cool. Little kids grow up having no concept of “coolness”, and then they hit the 6th grade. From that point on, being “cool” is on the top of their to-do list. Muscle cars are perpetually cool. They’ve been cool since day #1, and their legend has grown ever since. A friend of mine (who grew up in the 1960’s) recently commented that there is nothing on the road as cool as a muscle car, and he said it in a way that that made it seem as certain as the fact that 2+2=4. The question I wonder is, how do you know if your muscle car is cool enough? 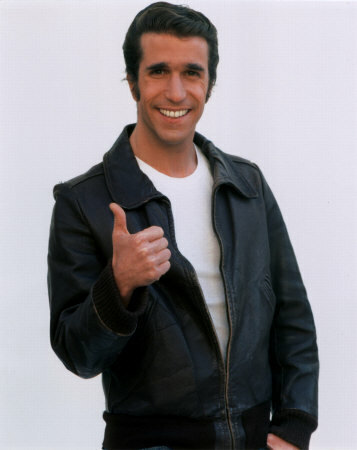 The coolest guy ever – Fonzie! Aaaayy! Photo courtesy Google Images. Having a popular model car (like a Mustang) gives it an instant coolness factor, while having a less popular model leaves it up to the car’s merits to determine it’s coolness. Let’s take a look at 3 muscle cars in particular and judge the Cool Factor….and then you can determine if it’s cool enough for you to drive! 1st generation (1967-1969) Camaro’s were popular the day they were unveiled. They were Chevy’s answer to the Mustang and were similar in that they were built off of an economy car (the Chevy II…where as the Mustang was built off of the Falcon). You could get one with a small block, a big block, one ready to drag race, or one ready to run the road course (Z/28 style). Just order it up and be sure to book a date for Friday night…which won’t be hard to do. They’re still popular today and are one of the most sought after by collectors and hot rodders. High School Equivalent: The QB of the football team. Athletic. Great looking. He can bench press….uh, a Camaro. Girls dig that. 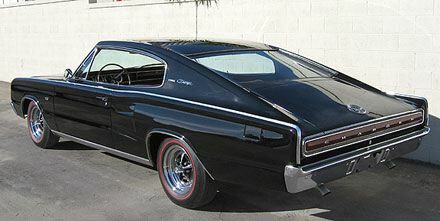 1966 Dodge Charger with a 426 Hemi! Early generation Mopars are kind of the Apple ‘Mac’ of muscle cars. A small percentage of muscle car guys love them with utter devotion and would drive nothing else. To them, driving a Ford or Chevy would be like cheating on their wives. That being said, the ’66-’67 Charger is a very cool car just from a styling and feature standpoint – the gauges alone are awesome – but it’s not for everyone. It didn’t sell with the popularity of the ’68-’70 models (or live on eternity thanks to the Dukes of Hazzard), but it does have it’s fans and can definitely hold it’s own against the competition. High School Equivalent: The Captain of the Drumline. Not everyone knows him, but those that do know he’s got rhythm from head to toe. He’s jammin’ on drums with his buddies 24 hours a day, 7 days a week. 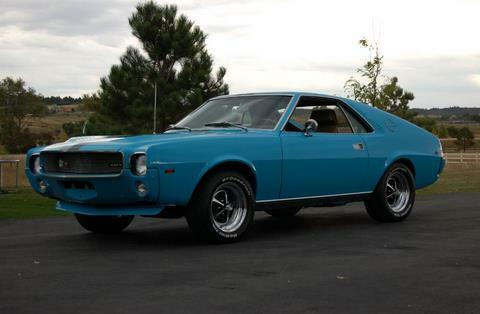 An AMX in “Big bad Blue”. Photo courtesy coloradoamx.com. And then there is that other guy. American Motors cars were always kind of a fifth wheel. Some of their passenger cars were dorky looking (the Pacer, the Gremlin, the Matador, etc. ), but the AMX was genuinely good looking. It was just a little different than the norm, mainly due to it’s short wheel base (VERY short) and the fact that it was a 2-seater! High School Equivalent: That one guy that wore a leather jacket and shades. No-one knew his name. I think he’s a famous artist now. So just why is it that we’re trying to determine if a muscle car is cool enough for you to drive? Well, quite honestly….what other reason would you have to drive one? They’re brash, noisy, smelly, and can be hard to drive at times. They hate being driven slowly and give you feelings of sheer joy and simultaneous terror while being pushed to the limits. They need constant wrenching and “tweaking” just to stay in fighting shape. Why on earth would you put up with all of that when you could drive a nice happy Toyota Camry? You know why….because just like the Fonz, muscle cars are cool, and coolness rubs off. 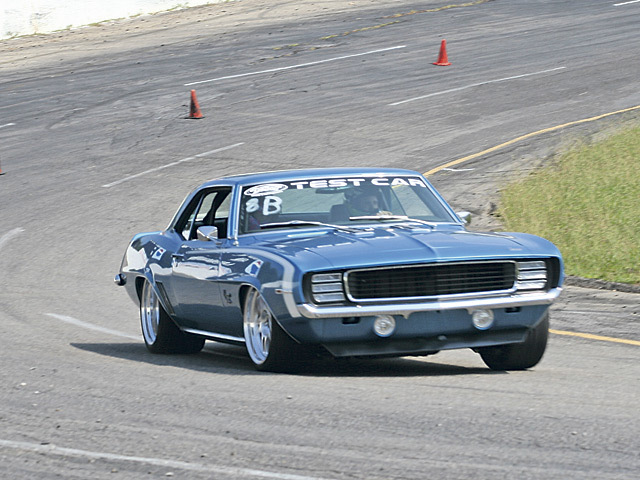 So, in the end, if you think your muscle car is cool – it is. That’s all that matters. It’s cool enough. Remember though, if it’s popular, it’s probably already cool, but just like high school….some of the coolest people were never popular. To receive our blog posts via e-mail, click HERE. -Robert Kibbe is the author or this article, President of The MuscleCar Place, and is the former Captain of his high school and college drumlines…..but does not own a 1966 Dodge Charger. Each newsletter features news, your car stories, and our latest classifieds listings! Robert is the owner and creator of The MuscleCar Place. His passion for muscle cars drove the creation this site and the podcasts that go with it, and he'll be the first to admit it's a lot more fun than having a real job. Robert Kibbe has written 749 articles for us. I like the disclosure at the end. You are expecting everyone to think HS drumline captains are cool!